Have a good one, and hug all those that are dear to ye! Needing a Christmas present for a family history obsessed love one (or for yourself)?! For my genealogy guide books, visit http://britishgenes.blogspot.co.uk/p/my-books.html, whilst details of my research service are at www.ScotlandsGreatestStory.co.uk. 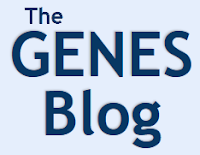 Further content is also published daily on The GENES Blog Facebook page at www.facebook.com/BritishGENES. Ancestry's Rootsweb platform (http://home.rootsweb.ancestry.com/) has had its security breached, affecting some 300,000 members. Whilst no credit card information is used or stored for the platform, a very small number of users (about 55,000) have the same log in details for both their Rootsweb and Ancestry accounts. Ancestry is advising that it is contacting all affected users - if you are one of those affected you will have to reset your account before you can use it again. As a consequence of the breach, Ancestry has temporarily taken Rootsweb offline to try to make sure that all hosted data is saved. The company states that "as RootsWeb is a free and open community that has been largely built by its users, we may not be able to salvage everything as we work to resolve this issue and enhance the RootsWeb infrastructure." For more on the story visit Ancestry's description of events at https://blogs.ancestry.com/ancestry/2017/12/23/rootsweb-security-update/. TannerRitchie's Holiday sale is on until 15 January 2017! Check out www.tannerritchie.com for huge savings on our entire ebook download catalogue, and Quick Access to MEMSO (personal access to our MEMSO database and ebook downloads designed for individuals). And don't forget, libraries, colleges and universities can request a free trial to MEMSO (Medieval and Early Modern Sources Online), which is used around the world for anyone interested in the humanities and law. To cut a long story short, this is a site well worth exploring for early Irish, Scottish, and English resources from the medieval period onwards. For Scotland alone it has PDF versions of books from the Scottish Record Society, the Bannatyne Club, Scottish Burgh Records Society, the Historical Manuscripts Collection, the Iona Club, William Fraser's Scottish Family Histories, various Calendars of historic Scottish Government papers, and much more. (Note that publications from the Scottish Record Society are not included in this sale). If you are curious about MEMSO and early resources, now is the time to have a play. And believe me, you will find something of interest! There's some basic info on the resource at https://tannerritchie.com/memso.php. 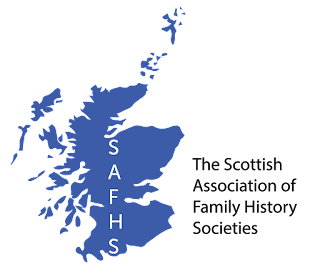 Early bird tickets for the Scottish Association of Family History Societies 2018 conference are on sale until January 3rd, priced at £15, after which date the price will increase to £20. Entitled Was Your Ancestor a Convict?, the conference will take place at The Rothes Halls, Glenrothes, Fife, KY7 5NX, from 10am-4.30pm on Saturday 21st April 2018. 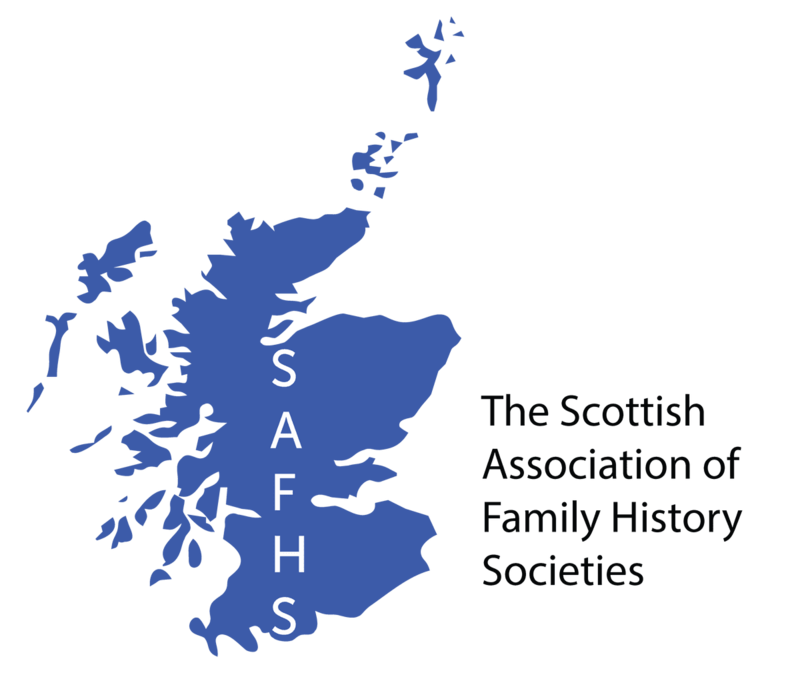 For further details on the conference visit https://safhs2018.fifefhs.org. There's a fun post on the blog of the Royal Commission on the Ancient and Historical Monuments of Wales, detailing the existence of thirty places in Wales called Bethlehem, and thirteen called Nazareth. 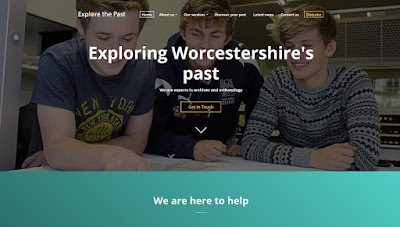 Worcestershire Archive and Archaeology Service has launched a new website entitled Explore the Past (www.explorethepast.co.uk). The site includes an archive catalogue, archaeology library, a Worcestershire Ceramics database, indexes and guides, and various databases, including a School Records database, and various Tithe and Inclosure Maps (see www.worcestershire.gov.uk/info/20189/search_our_records). The Irish Newspaper Archives (https://www.irishnewsarchive.com/) is offering a 15% discount from a 12 month subscription package, using the code XMAS15. 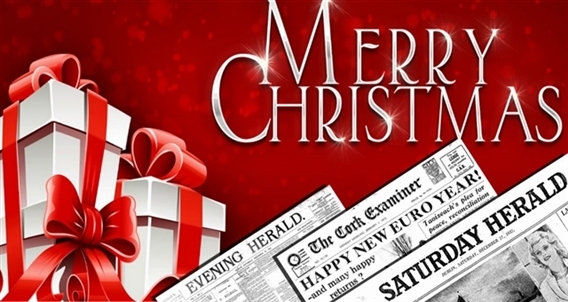 To sign up visit https://www.irishnewsarchive.com/subscribe. MyHeritage (www.myheritage.com) has issued a detailed blog post highlighting its last year, and in particular its huge progress into the field of DNA analysis for genealogy. The full article is available at https://blog.myheritage.com/2017/12/2017-year-in-review/, with a few embedded videos showing some of its many achievements. With 2018 fast approaching, the site has also launched a “New Year’s Resolution” campaign to encourage people to fulfill their resolution of finding more information about their family history, with the company offering a 50% discount on a Complete subscription. To get the discount simply visit www.myheritage.com. FindmyPast Ireland (www.findmypast.ie) has added a series of 68 maps sourced from the State Papers held by the National Archives in England detailing the colonisation of Ireland by the English and Scots as far back as 500 years ago, though with most of the maps detailing settlements during the Plantations of Ulster. The Irish Examiner has the full story at https://www.irishexaminer.com/ireland/new-collection-quite-literally-maps-the-colonisation-of-ireland-500-years-ago-464892.html. 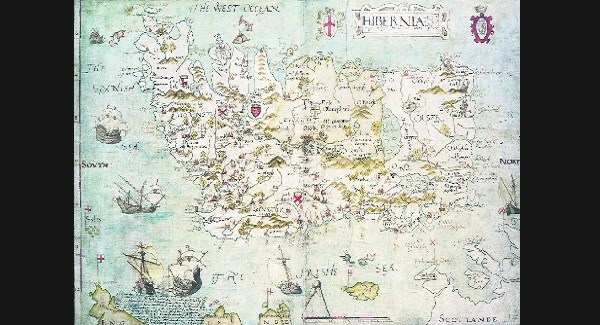 The article notes that one of the earliest maps shows my home town of Carrickfergus from 1533 (which is not in County Down, as the article states, but County Antrim), whilst many others detail the baronies in Ulster during the Plantations of the earky 1600s. In this collection, Findmypast has published early maps of Ireland from The National Archives series MPF 1. The maps were created during the reign of Elizabeth I and James I. They assisted the English in the plantation of Ireland, a time when the English crown confiscated Irish lands and redistributed the land to English planters or settlers. 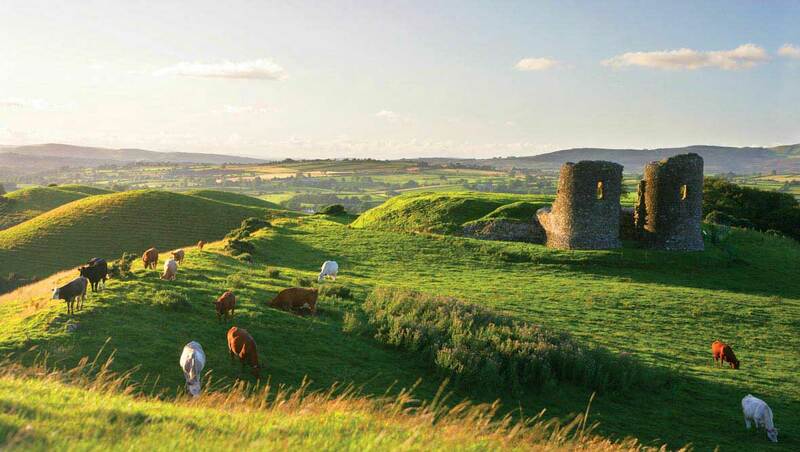 Most of the land confiscated had belonged to Gaelic leaders in Munster and Ulster. At this time, map making was in its early stages as a profession, and they had not established the standards that we use today. For example, in many of the maps, North is not always at the top. Use the rotation option on the image to spin it around so you can have North at the top. Map making was a dangerous career during this period. The cartographers were exploring hostile foreign territory. One of the creators of these maps, Richard Bartlett, was beheaded in Tyrconnell, Donegal, by the natives who were resisting the English plantation and did not want the English government to own maps of their lands. We have included a full list of the maps you will find in Ireland, maps and surveys 1558-1610. With Christmas now over why not plan the perfect Summer escape? Running from 05-12 September 2018 Tracing your Irish Ancestors 2018 will mark the tercentenary of the 1718 migration and 300+ years of Irish migration with visits to sites and places synonymous with the migration of Ulster and Irish families to the New Worlds (North America, Australasia, South Africa etc). During our 7 day conference you will be able to shape your own experiences by choosing to either research in the different archives in Belfast and Dublin or join our staff on daily excursions through Ireland's beautiful landscape to some of its most historic sites. Trips during our 2018 programme will see you embark on a guided through the Bann Valley, the area in Ulster most directly associated with the 1718 migration; walk on the walls and explore the historic port city of Derry~Londonderry, one of the finest examples of a walled city in Europe; uncover the stories of some of the earliest people to travel from Ulster to Australia at the Down Museum; visit the Ulster American Folk Park which is dedicated to the story of emigration from Ulster to North America in the 18th and 19th centuries; as well as delving deeper into the past with visits to the Hill of the O’Neill in Dungannon to learn about the 'Flight of the Earls' in 1607, when two of Ulster's leading lords left the island for Continental Europe, never to return and Barons Court, the magnificent seat of the Duke of Abercorn whose ancestors migrated from Scotland over 400 years ago. These tours are also enlivened with visits to other renowned historical sites of interest across the island of Ireland as you will journey into pre-history to marvel at the UNESCO World Heritage site at Newgrange and look out onto the North Atlantic Ocean from the stones of the Giant’s Causeway. You will also be able to visit Kilmainham Gaol, one of Dublin city’s most important monuments and visitor attractions and view the beautifully illustrated Book of Kells at Trinity College. All this and much much more! Avail now of our early bird registration offer of only £899.99 (GBP) ($1187 approx. ), giving a saving of £50 on the full price of £949.99 (GBP). Places can fill up fast so reserve your place now, with a deposit of only £299.99 (GBP) per person! Given the current low value of sterling (GBP) against other currencies now is a particularly good time for overseas visitors to purchase. Running from 05-09 February 2018 Tracing Irish Genealogy Essentials: A Family History Course will cover topics such as Irish land divisions; Nineteenth and early twentieth century census returns; Church records; Civil records; Griffith’s valuation; Tithe applotment books; wills and testamentary papers; and much more! We hope our American friends can join us during our 2018 U.S. cecture tour. Beginning in Augusta, GA on 03 March and ending in Honolulu, HI on 20 March our lecture tour is a great way to learn more about your Irish and Scots-Irish roots. Please feel free to share information about our lecture tour with your genealogical or historical society and friends on social media. 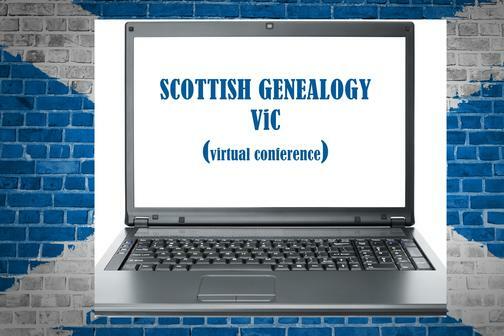 The Scottish Genealogy Virtual Conference on January 27th is just a month or so away, so for those wishing to attend, a few updates. If you register to attend the conference, ScotlandsPeople will give you 24 free credits for use on its website at www.scotlandspeople.gov.uk. Scottish Indexes (www.scottishindexes.com) will also be offering a discount for the event, an the University of Strathclyde (www.strath.ac.uk/studywithus/centreforlifelonglearning/genealogy/) will be offering a code for a 10% discount on its 8 week long short courses starting in April 2018. Forever.com is also offering a bundle discounbt on iuts services, and a free Artisan digital software program (an $80 value). During the course, Canadian based Global Genealogy (www.globalgenealogy.com) is offering a 20% discount for all or any of my books purchased during the run of the conference (see www.globalgenealogy.com/authors/paton-chris/chris-paton.htm for the books of mine that they sell). 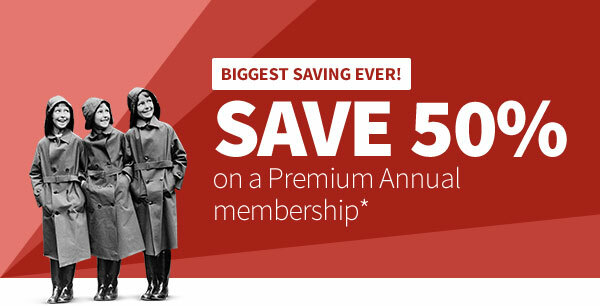 As we usher in 2018, there’s an extra reason to celebrate – a huge 50% saving on our Premium Annual membership. It’s our biggest saving ever on a Premium Annual membership so take advantage today and explore all our UK records for less. *Offer available until midnight on 4 January 2018 by following the links in this email only. For new customers only. Premium Annual Membership special offer price is £59.99 instead of the current price of £119.99 (a discount of 50%). Special offer price is valid for the first 12-month period of membership. Your membership will automatically renew at the end of each 12-month period and your chosen method of payment will be charged £119.99 at that time, unless you are notified otherwise. If you don’t want to renew, cancel at least 2 days before your renewal date by visiting the My Account section or by calling Member Services. See our Terms and Conditions for further details. 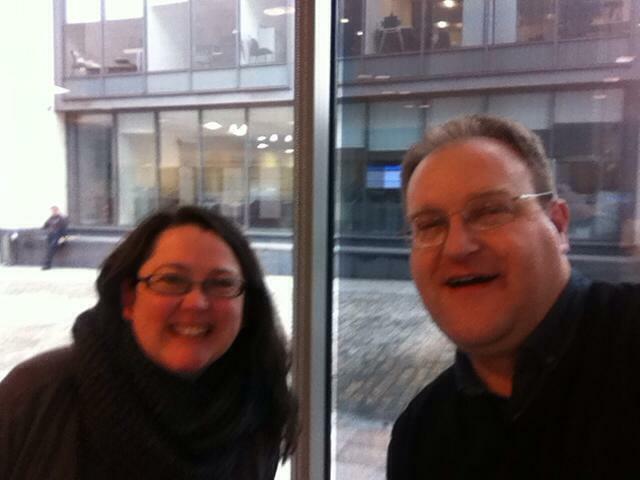 Nollaig Chridheil dha gach neach-leughaidh aig Blog GENES! 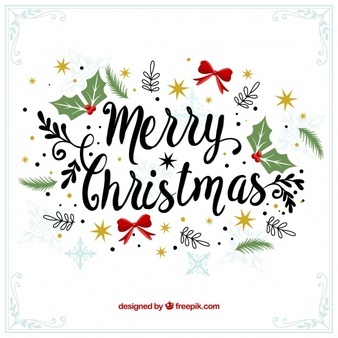 Merry Christmas to all readers of the GENES Blog! Explore more than 50,000 death and burial records covering parishes in the Diocese of Manchester, pertaining mainly to those from the historic county of Lancashire. Transcripts and, where available, images of the original registers are provided. You can discover event dates and locations for your ancestor's death or burial in these records. places related to your ancestor's banns or marriage. Records will also reveal the name of your ancestor's father as well as corresponding details for their spouse. Explore more than 65 volumes of fascinating publications covering a wide variety of genealogy related subjects including heraldry, palaeography, geography and more. The details gleaned from these titles can significantly expand your knowledge and understanding of British research. Discover your English ancestry by searching more than 13,000 monumental inscriptions from the English county of Northamptonshire. Inscriptions can include your ancestor's death date, burial place and can reveal the names of other family members. In our latest update to the Periodical Source Index (PERSI), we've added more images to Allen County Lines, found exclusively on Findmypast. Included in this update, images have been added for volumes 1 through 35, which span the years from 1977 to 2010. 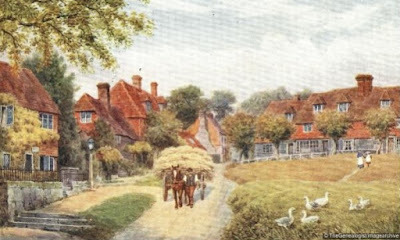 TheGenealogist now has over 3 million individuals in the Sussex Parish Record Collection. The Parish Record Transcription Society (PRTSoc) have worked with TheGenealogist and S&N to make their records available online. With a combined 3 million plus individuals from baptism, marriage and burial records now fully searchable it is easier than ever to discover ancestors from Sussex by turning to TheGenealogist’s parish records collection. preserving them for generations to come. By working with TheGenealogist these are now also searchable by online researchers on TheGenealogist. This release adds to the ever expanding collection of parish records on TheGenealogist. Source: Carnegie Dunfermline School of Music Student Registers, Fife Library and Archives Services, Fife, Scotland. Andrew Carnegie was born in Dunfermline, Scotland in 1835 and, although he left for the United States before the age of thirteen, he still remembered his place of birth with a great deal of fondness throughout his life. After making his fortune, he donated the Carnegie library and public swimming baths and set up the Carnegie DunfermlineTrust with an endowment of $2.5 million. Part of the Trust's work in Dunfermline included the establishment of a Music Institution. It has combined the Terms and Conditions for Ancestry.co.uk, AncestryDNA, and other Ancestry services into one document, and done similar for its Privacy Statement. Containing over 18,000 records, this collection consists of vital event records for births, marriages, and deaths reported in newspapers and town record transcripts from Portsmouth, New Hampshire. It is important to note that the event in question may not have occurred in Portsmouth, New Hampshire, however. For instance, a death may have happened in New Jersey but was reported in a Portsmouth newspaper like The Oracle of the Day. Explore over 10,000 abstracts from the Federal Observer, Freeman's Journal or New Hampshire Gazette, New-Hampshire Mercury, New-Hampshire Spy, Oracle of New Hampshire, and The Oracle of the Day to learn more about your ancestor's life and struggles. Was your ancestors driven out of town? "Warning out" was a method used in New England to pressure newcomers to settle in a different town or area. A notice or warrant would be issued by a town's Board of Selectmen and served by a local constable. However, the issuing of such a notice did not necessarily mean that the recipient(s) would be forcibly removed from the town. In this index of over 14,000 wills from Jersey in the Channel Islands, you can discover your ancestor's name as well as the year, location, and original text of the document. 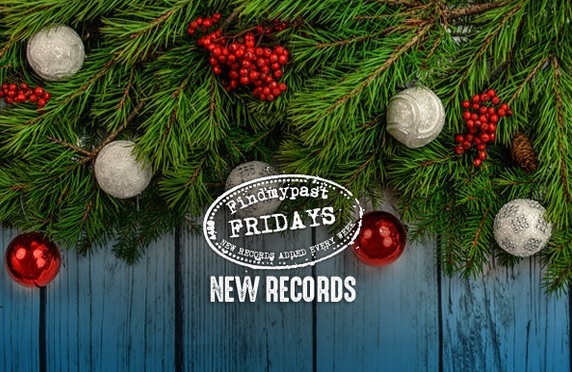 The records cover the years 1564 to 2000 and have been obtained from theislandwiki website. Additional information about the records can we found on the source's website. Over 10,000 new records covering the city of Portsmouth in New Hampshire have been added to our collection of United States Marriage records. These latest additions mark the most recent phase of efforts to create the single largest online collection of U.S. marriage records in history. Covering 360 years of marriages from 1650-2010, when complete this landmark collection will contain at least 100 million records and more than 450 million names from 2,800 counties across America. With Christmas approaching we realise many of you may be planning to carry out some research over the holidays and we are delighted to offer this credit bundle. Also, if you become a Guild Member, you can also take advantage of this offer at the lower price of £18! Explore this unique resource, handpicked by our in-house experts. Our new British & Irish roots collection brings together more than 95 million records from across a wide variety of records covering the United States and Canada. Each record identifies a British or Irish emigrant who came to North America. For example, Findmypast identified a population register from California that noted that a widow was Scottish and pulled this record into the collection. This new, first-of-its-kind collection gives North American family historians the chance to search for their British and Irish roots all in one place. Discover photographs and uncover details of your WW1 military ancestor's service with an index pertaining to more than 18,000 records found on the Imperial War Museum website. Each transcript will reveal your ancestor's rank, regiment, awards, soldier number and death date. Over 13,000 records have been added to our collection of Kent Baptisms. The new additions cover the parishes of Meopham, Luddesdown, Cobham, Nurstead and Ifield. 400 new records have been added to our collection of Kent Banns. An ancient legal tradition, banns are an announcement in church of a couple's intention to marry. Banns were read in the parish (or parishes) in which the couple lived on three consecutive Sundays before the wedding and provided an opportunity for the congregation to put forward a reason why the marriage may not lawfully take place. More than 3,000 new records have been added to our collection of Kent parish marriage records. Over 10,000 new records covering the parishes of Meopham, Luddesdown, Cobham, Nurstead, Ifield have been added to our collection of Kent Burials. Over 49,000 new probate index cards have recently been added to our collection of Kent Wills & Probate Indexes 1328-1890. The contains consists of records from seven different ecclesiastical Church of England courts across the county and was compiled from four separate sources: the West Kent Probate index 1750-1890, West Kent Probate Index 1440-1857, Kent Inventories 1571-1842 and Kent Will Abstracts 1328-1691, and includes 14 different types of document. The Society of Genealogist has announced its new membership structure and extra elements for the dedicated Members’ area for the website www.sog.org.uk . In addition to the existing digital data from the library collections the website now has an enhanced members’ Learning Zone with online courses, research aids, record guides and tips. This will be added to throughout the year with online beginners and intermediate level courses to follow shorty. Additionally the rather antiquated Rootsweb SoG members email service has been replaced with a dedicated themed members’ community hub for further education matters and members discussion, help and advice. The membership fee has been restructured with new rates to create a dedicated associate online only (£56) membership and full membership (£80). Details are available on the SoG website at http://www.sog.org.uk/membership/. Existing members and overseas members can be assured they will not see any change to status, voting rights or large increase in subs though we expect some overseas members in due course to become associate members. Readers of The GENES Blog can receive a 25% discount on full or associate membership by using the code BG25 upon signing up. This offer will expires on 28 Feb 2018. 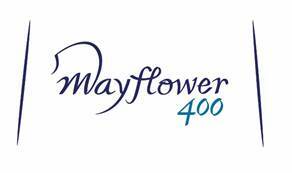 Monday 11th December 2017, London: On behalf of Mayflower 400, the official national and international visitor programme formed to lead the 400th anniversary commemorations in 2020, Destination Plymouth has commissioned research in the United States by specialist research agency, Habit5, to evaluate the commercial and investment potential of this iconic anniversary. The Drogheda Independent was established in 1884 and offers over 133 years of Irish history. The Drogheda Independent was closely linked with the Land League movement and identified itself with the plight of the small farmer. The Belfast Newsletter was the first newspaper published in Belfast [and in Ulster] and the oldest surviving newspaper in Ireland. 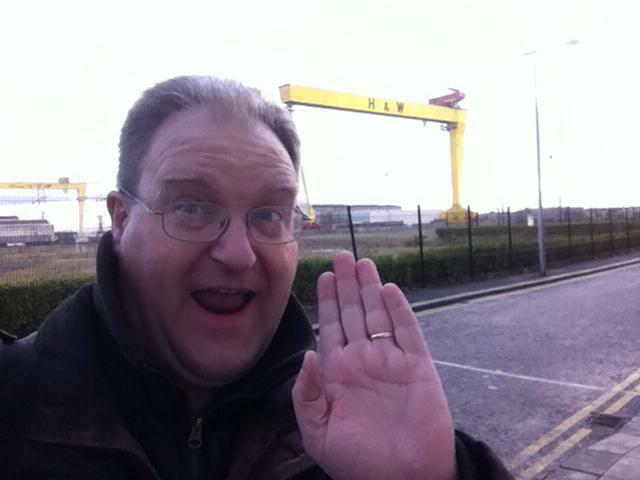 The Belfast Newsletter was established over 250 years ago in 1738 by Mr. Francis Joy. The original title was The Belfast Newsletter and General Advertiser, its first issue was in a single sheet-form. The Dundalk Democrat was established in 1849 by Mr. Joseph A. Cartan. The paper was originally produced from a hotel owned by the Cartan family. Cartan was a staunch nationalist and pro- O’Connell supporter. Coupon Code: New002 - 25% off Yearly and Monthly Membership. Do you work in an archive or an organisation which holds archive material? Archive Service Accreditation is the UK management standard for archives, supported by a partnership of archives and professional bodies. This free half-day seminar will be a chance to find out more about the programme, its structure and content, and how to make an application. You will also find out how Accreditation can be used to support archive services even if they are not currently expecting to make an application. The session will conclude with a participatory workshop drafting a management policy for a small archive service, which will show how clear policies can support effective working – and take the fear out of policy-writing! TheGenealogist has just released over 2.7 million BT27 records for the 1930s. 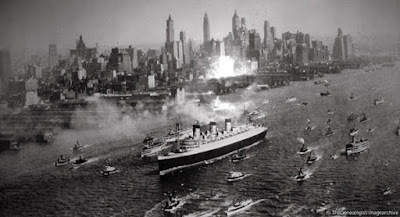 These Outbound Passenger Lists are part of an expanding immigration and emigration record set on TheGenealogist that feature the historical records of passengers who sailed out of United Kingdom ports in the years between 1930 and 1939. With the release of this decade of records, the already strong Immigration, Emigration, Naturalisation and passenger list resources on TheGenealogist have been expanded again. Those with ancestors who sailed from Britain in the 1930’s will welcome this fascinating new release from TheGenealogist, which adds to their current Emigration records, now totalling over 19 million and dating back to 1896. Our Yorkshire Memorial Inscriptions have been supplemented with over 13,000 additional records from Rotherham Family History Society. We've added even more Yorkshire records this week in the shape of new additions to our collection of burials from 'God's Own Country'. These latest releases consist of Methodist burials from Brunswick Chapel, South Street and Carver Street in Sheffield. This exciting new collection will help you to find out if your ancestor worked aboard a ship arriving into Boston. Included are transcripts as well as original images that can reveal your seafaring relative's occupation on board, physical description and in some cases, even their signature. Brought onto the site via the original holdings at the National Archives and Records Administration (NARA), this unique resource is a welcome addition to our existing Boston collection. Another new addition to our Massachusetts records, this collection of death records details those who died in the Bay State over the past half a century. This vast resource of over 6 million records has been transcribed from the tributes.com website and could help you unlock unknown details on your ancestor's death in America. Our premium collection of US marriage records has grown again with the addition of over 30,000 new records from the states of Kentucky, Maryland and South Carolina. This release also sees the addition of a brand new county to the collection - Somerset County, Maryland. a great ferry crossing from Cairnryan, despite the 4.30am start to get there! It was also a slight odd experience for me as my wife was also heading to Ireland, to Kilkenny, at about the same time, so I had to give her a quick wave from the other end of the island! As part of the Londonderry Papers from Mount Stewart, records concerning the Women's Legion, and the fight for suffrage, are being made available via D3099/14. ii) Acquisition strategy – PRONI's last collection policy was created in 2013, and so the archive is currently working on a follow up, to update some aspects. Amongst the issues it will cover will be the types of records that the archive will accept, the records it won't accept, and discussions on digital accessions, a massively changing and ever increasingly important area. iii) Annual records release - the next batch of government records to be released under the now 20 year rule will take place in a few weeks, with records mainly from 1992, some of them on political issues from the day, but not all. As usual, there will be an event tying into this in a couple of weeks time at PRONI. iv) The digitisation of church records was deemed a success this year, and new collections are already being identified for next year. 51 Belfast churches have been identified as on a wish list to work on, for records up to 1900, with some a re-recording of previously poorly filmed microfilm records, but others completely new. They are from a variety of denominations – Church of Ireland, Non-Subcribing Presbyterians, Reformed Presbyterians, Methodists and Baptists. The archive has also contacted some external bodies with holdings to see if they might be willing to participate, including a further 64 Church of Ireland parish churches in County Antrim,, and the Methodist Historical Society of Ireland. v) PRONI volunteer policy – PRONI is hoping to take on 3 volunteers for a 6 month period to assist with efforts at the archive, for which expenses will be paid. If you are interested, application forms are on the PRONI site at https://www.nidirect.gov.uk/information-and-services/your-research/volunteering-proni – but get in quick, as December 8th is the closing date! vi) Strategic vision – PRONI is intending to start work on a new strategic vision document. 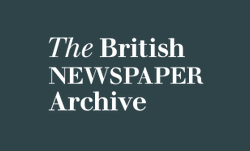 A key anniversary is coming up for the archive in 2023, which will be the 100th anniversary since the Public Records Act which created the body. The archive will look at various issues, such as the role of digital records, collaboration, and statutory goals. There will be three themes, based on trust, memory and engagement. Since opening at Titanic Quarter, PRONI has evolved dramatically in terms of its popularity, its ambition, its collaborations, and knows that this evolution will continue in the years ahead. As one staff members stated, "The days of us just being a place where you come and look at records are over!" vii) PRONI is planning to commemorate People's Representation Act 1918 with an event on 6th Feb, and intends to turn its Suffrage resources online into an interactive experience. There will also be an exhibition on the theme of suffrage next year. viii) Archive accreditation – no Northern Irish institution has yet gone through the process of archive accreditation, and so PRONI hopes to be the one of the first, submitting its application next March 2018. A visitor from the English based National Archives will be at PRONI next Friday 8th December to speak to bodies which might be interested in doing likewise. For more on this, visit https://www.nidirect.gov.uk/articles/uk-archive-service-accreditation-information-seminar-policy-writing-workshop. ix) PRONI has just launched a fantastic new exhibition on site, entitled Medieval to the Modern: Reformation, Transformation and Continuity, produced in collaboration with Libraries NI. The exhibition will be at PRONI for another week, will then move onto Belfast Central Library for a month, before travelling around libraries across the Province. I managed to grab a few snaps of the exhibition, and although I was only able to spend a few minutes looking at, it definitely looks worth the effort to make a trip into the archive or the city centre to see it. Finally, after completing some client work yesterday, I managed to briefly explore some of the new digitised repositories at PRONI yesterday. First, the church records that the archive has digitised are accessible through its on-site catalogue (not from home), and once located, are accessed in the form of full colour PDF documents which must be browsed. For the most part the quality was quite good, although I did notice that there seemed to be quite a bit of compression on the quality, which I presume may present some potential issues with smaller text and handwriting. I'm not sure if a higher resolution version is available to staff if this were to happen (there will clearly be a high quality archive standards digital version for conservation somewhere on site). Secondly, I spent some time on the one of the computers providing access to GRONI's GENI platform, for civil registration records of births, marriages and deaths. The provision at PRONI (and at GRONI itself) allow you to access records to the present day, unlike the online platform at https://geni.nidirect.gov.uk. An emotional find for me considering it was the fourth anniversary of my mother's death a few days ago was a copy of her birth registration, which I had never actually looked at before (Whit?! What kind of genie are you?!). I also discovered for the first time some of the names of my granny's siblings who had not survived infancy. The set up is the same as that you use at home, and you will need your log-in details – do remember to do so, PRONI can't help you if you don't, as they are merely hosting GRONI's system. I can actually envisage a trip to Belfast in the near future just to use this again – the indexes are so detailed that you can achieve a lot before paying a penny, but of course you can also see the original records there for £2.50 each. Note though that even if you access the recent records at PRONI, they will not be available to see on your account when you return home if they are within the closure period, even if you have paid for them. Overall, another great visit to my favourite archive on Earth, and it was great to catch up with people including Ann Robinson from NIFHS, Stephen Scarth, Tom Gribben, and Gillian Hunt from the Ulster Historical Foundation (pictured right). A quick word to end with on how to get there from Scotland by ferry if you choose to do so! Right now, Stena is offering a midweek deal for Tuesday to Thursday of a return trip to Belfast for foot passengers from Cairnryan at just £5. If you don't book in advance, it is still possible to get a midweek deal for £10 return. For Fridays to Mondays, the cost goes up for foot passengers to £26 return. See https://www.stenaline.co.uk/ferries-to-ireland/day-trips for details. The 7.30am ferry gets you to PRONI or to Belfast city centre for 10am, and you can do a full day's work before heading back home on the 7.30pm ferry, getting in to Cairnryan just before 10pm (and you'll have tme to quickly visit the German market at City Hall - see below!). If taking a car to Cairnryan, parking is £5 for the day. It will never be cheaper, so why not treat yourself to a wee research trip before Christmas?! But if you do, remember that there will be no productions available from December 11th-15th, with access only available to self-service microfilms, the catalogue and digital collections - and do remember your visitor card. Heck, I might even try and get back again before Christmas!